Hello, friends all of you know Jio is now officially available for all 4G compatible devices. Means you can generate barcode or offer code to avail Jio welcome offer on your 4G mobile phone. To generate barcode, you need to install My Jio App (Find step by step guide of Jio welcome offer code generate method from Here). However, many users are unable to generate the barcode on their 4G device on My Jio App Latest Version. 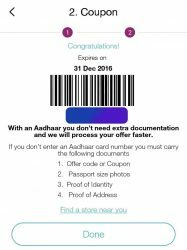 In this article, I am sharing how you can generate Jio barcode with My Jio App Old Version (or My Jio 3.2.05 App). So guys just follow below steps to generate your barcode to get a Jio sim card for free. 1 How to Get Jio Barcode on Any 4G Mobile With My Jio 3.2.05 App? How to Get Jio Barcode on Any 4G Mobile With My Jio 3.2.05 App? • Now Open My Jio App and click on install all option. • Install all Jio Apps one by one. 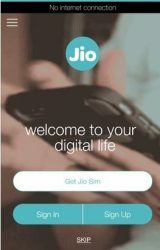 • After successfully installation (all jio apps), restart your mobile phone. • Important Step: Disable your mobile data or WiFi network. • Open My Jio App (without internet connection), You will see “Get Jio Sim” option. • Enable your mobile data or wifi & then Click on “Get Jio SIM” option. • Verify your mobile number with OTP. • Print out your screenshot & visit any Reliance Digital or Xpress Mini outlets along with photo ID & address proof. • They will provide you a Jio Sim. • Now wait for 2-3 days, you will receive an SMS regarding the verification. • Insert Jio sim on your device, you will see network signal. • Now dial 1977 from your Jio sim number & answer all questions, That is it!! If you are still unable to generate Jio barcode from method mentioned above, then don’t worry, because we have added an another trick here. To use this method, you should have a PC. So guys get ready to generate unlimited Jio barcode using your PC and get a Jio SIM to enjoy free internet data, voice call and SMS. We have written a separate article on “How to Generate Unlimited Jio Bar Code using PC“. I want Jio sim..pls send me the barcode ..
thanks worked for me ,,I got my preview offer on my 3g phone. I got get jio sim option, But then it’s not going further. Please advise for the same. Thanks, it worked, I got my jio sim too. This trick also work on my 3g device, can I get jio sim? Tried the above procedure several times but the get jio sim option is not displayed. I bought a Lyf mobile and Jio Sim on the date of 09/09/2016. But my Sim is not activate . Sir, Please activate the Sim card today. You will get the barcode. Take a screenshot shot and save it. Sometimes barcode is not saving automatically.